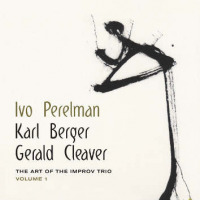 Over the past few years, Brazilian tenor sax luminary Ivo Perelman has been releasing albums in clusters based on themes / approaches: The Art of the Improv Trio, Vol. 1Vol. 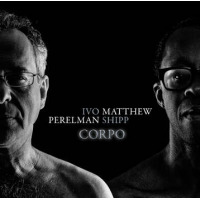 6 and The Art of Perelman-(Matthew) Shipp Vol. 1Vol. 7 and Heptagon is one of six new simultaneous releases. 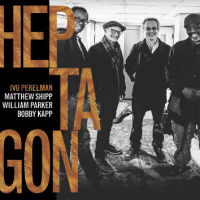 Here, Perelman appears with longtime affiliates, pianist Matthew Shipp, bassist William Parker and newcomer, drummer Bobby Kapp, who performed on Brazilian saxophonist Gato Barbieri's debut album issued in 1967. Nonetheless, Kapp is an excellent choice as Perelman's assessment is on the mark by stating: "he's very sensitive to time and space. He is dancing at the drum kit..." And while the frontline rolls along with the improvisational game-plan, Kapp's buoyant timekeeping faculties add a poetic quality to the rhythmic foundation along with Parker's resonating lines and fluid attack. The artists do what they do best by creating on-the-fly works without following any rigid agendas, although Shipp does indoctrinate several of these works with underlying melodic content and hooks, translating into sub-motifs. 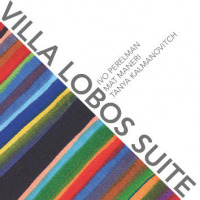 The band launches the festivities with "Part 1," which is etched by a revolving pattern and the rhythm section's flourishing pulse, escalated by Perelman's muscular mid-register phrasings, accented with a few plaintive cries. However, the band slowly disassembles the flow towards the coda. Each piece stands on its own. And "Part 2" features Shipps circular clusters, shaded by Kapp's hued cymbal shadings and the saxophonist's moody lines along with dips and spikes eliciting notions of a late-night vibe. The quartet's undulating gait remains a constant throughout these contracting and energized works. 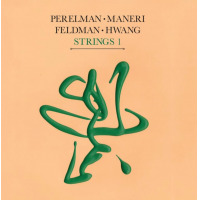 But "Part 5," opens with Perelman and Shipp's lamenting exchanges, evolving into a rambunctious vista amid soaring trajectories, anchored by Parker's booming support and Kapp's nimble drumming. Eventually all hell breaks loose. On "Part 7" the band intertwines blues and a staggered free-bop framework, heightened by Shipp's hard-hitting block chords as Parker and Perelman mimic and counterbalance each other during the bridge. In sum, highlights abound throughout this effervescent set, as they articulate the shifting tides in expeditious and purposeful fashion. Track Listing: Part 1 – Part 7. 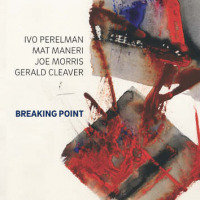 Personnel: Ivo Perelman: tenor sax; Matthew Shipp: piano; William Parker: bass; Bobby Kapp: drums.